I can remember taking the call from the kennels back in April last year as if it was yesterday. They asked me if there was any chance I could have a pup earlier than planned as they had a litter that needed to go out. 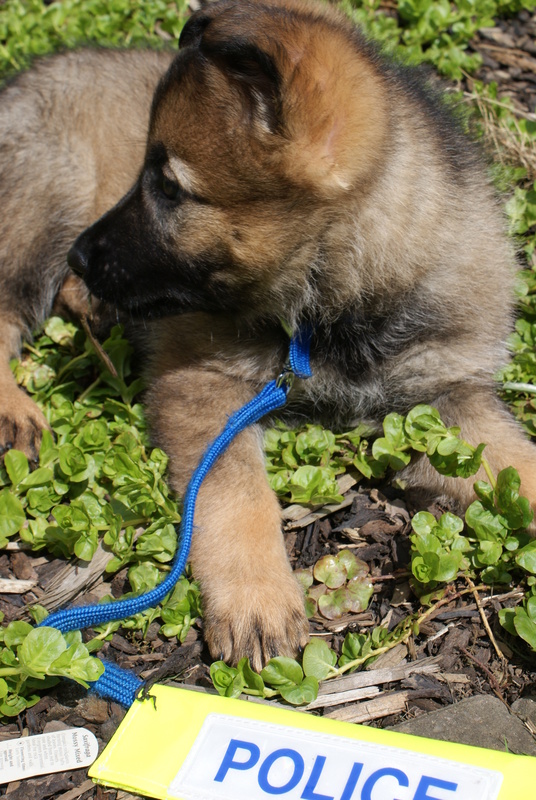 Of course I said yes, and before we knew it she was at home with us, this beautiful, destructive, nippy ball of fluff! It was without a doubt as nerve wrecking for her as it was for us. 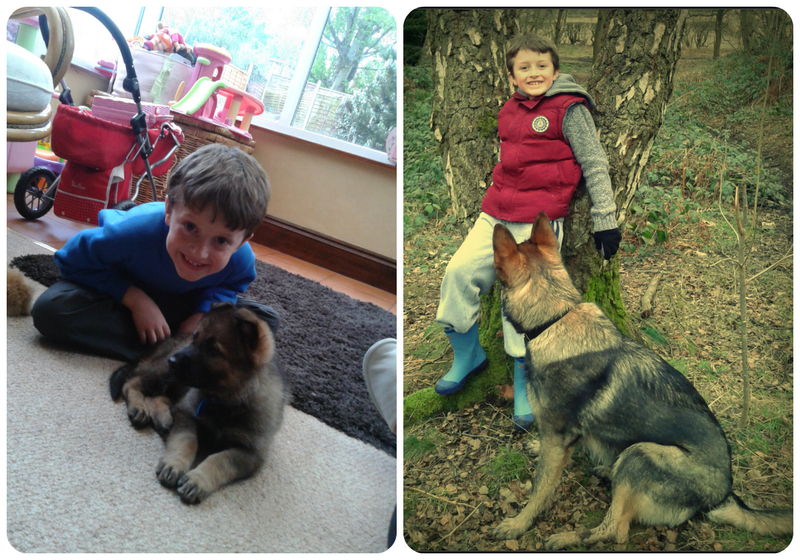 We had never had a puppy, James had no idea what to expect as he had never had a dog, and we had certainly never had a police dog before! I can also guarantee that Unis had never had to spend any time with anything quite as noisy and curious as Lily, let alone live with it! So this was always going to be an adventure! We had been told, when they did the house inspection, that she wasn’t to go up stairs, and that she must sleep in a crate. This was different for me from the outset as my old dog Bruce pretty much slept where ever his legs fell, if that was in your bed, you found somewhere else to sleep, trust me! But Unis soon got used to it, in fact I think we only had the first night where she whined for about an hour. Don’t get me wrong, we have had some nights where she gets up every hour, a phase where she went for a week waking at 3am and wanting to get up, and nights where she barely wanted to sleep at all, but that’s just part and parcel of having a dog, and with two children, I am sooo used to interrupted sleep! It’s safe to say now though, that she is well and truly part of the family. Its only really been this week though that the realisation of her leaving has begin to hit home. Everyone I have spoken to seems to ask ‘how much longer have you got her?’ ‘Ooh when is Unis leaving’ and having everyone ask all the time means you can never forget! 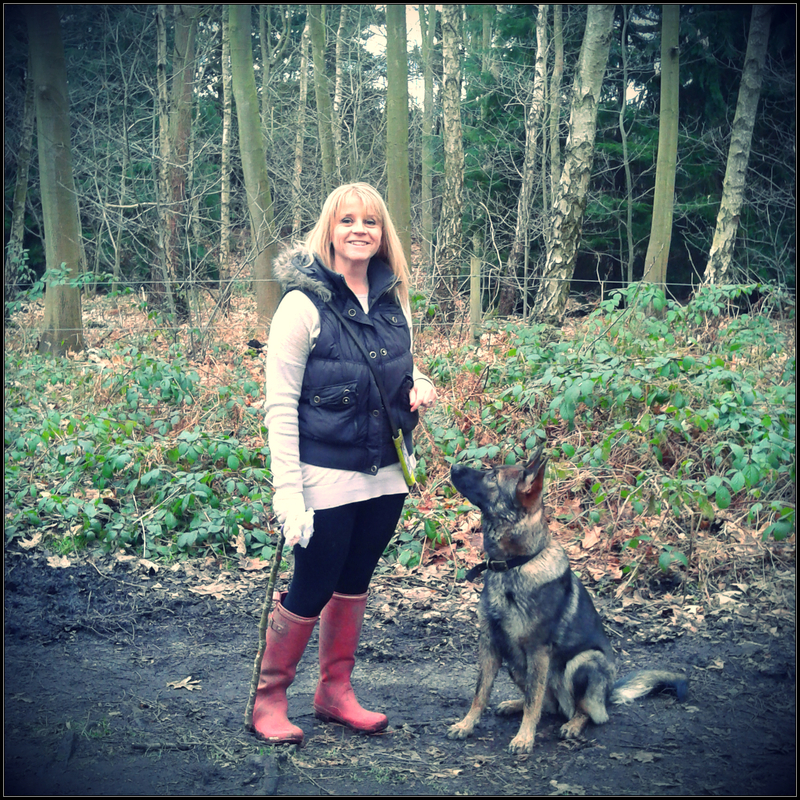 Oliver and I had a lovely walk with her today at Highgate Common and as we were running, chasing and throwing her favourite toy, we were chatting about how we would feel when she has to go. Whilst we both are hoping, praying and doing all we can to make sure she has the best chance of being a police dog, we decided that for today, it was to sad to talk about! I was always the one that said ‘this would only be for a year/eighteen months max’ and when everyone asked how on earth we were going to let her go, I was always thinking to myself ‘but I went in to this knowing it would only be for that time, I just won’t get that attached’ who on earth was I trying to kid!! Eight months down the line, and a whole host of help and advice from the super talented @wmp_dog I can safely say that this has been one of the most enjoyable experiences we have gone through. We have met some fantastic people, not only through the kennels, but the lovely dog walkers that we see day after day and some remarkable people on twitter. Even though we have always had cats, and I love them dearly, I think that dog people are some of the friendliest people you’ll meet! You can almost guarantee that regardless of the time or the weather, you will see someone walking their dog and they will always say hello! As for Oli and Lily, I think this has been a wonderful experience for them just as much as it has for me. 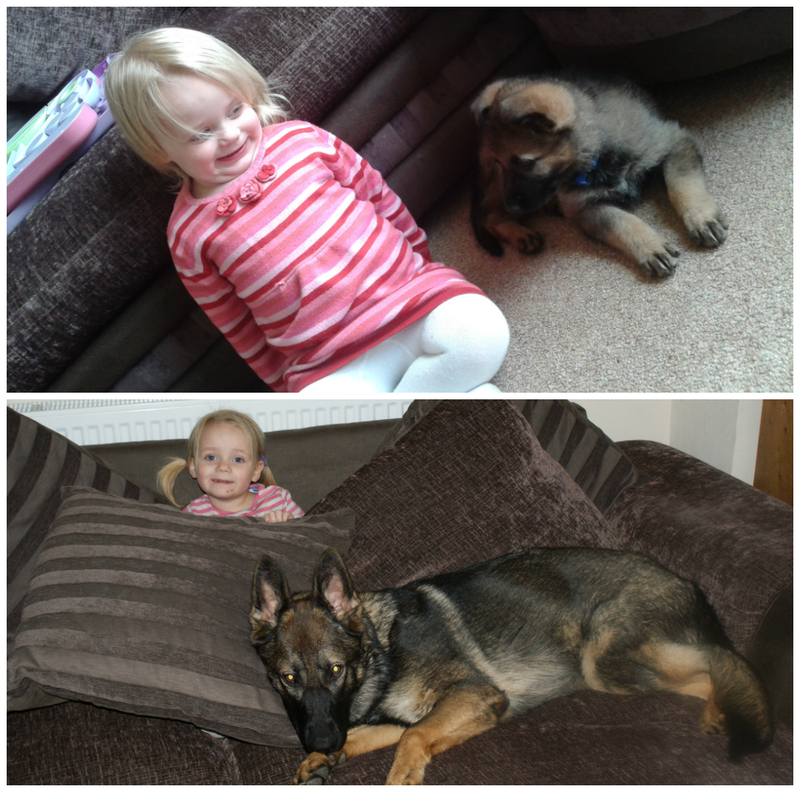 Oli has got to meet and see some of the formidable Police Dogs in action at the kennels, admiring their work and their strength and meeting some of the handlers, and Lily has grown up knowing not to be frightened of dogs, its given her a confidence around them that makes me smile every day and she has learnt to ask an owner if its ok if she pets their dog. She feeds, brushes and tries to train Unis like she is her best friend and I think they are! It has been lovely to watch their relationship grow over the past six months, as I am sure it will continue to. Until the dreaded D-Day comes though, we will carry on with our basic training, socialising and enjoying the time we have left with her. She is a fantastic puppy and a huge part of our little family and I wouldn’t have changed this opportunity to do this for the world. I can’t wait to find out what the future has in store for her! This entry was posted in Uncategorized and tagged blog, challenge, dog, excitement, family, Highgate Common, home, mummy, pet, photo, police dog, project 365, pup, puppy, puppy walking, Sunday afternoon, walking. Bookmark the permalink.